Simple rotating dial to preset and automatically stops at your desired pressure. 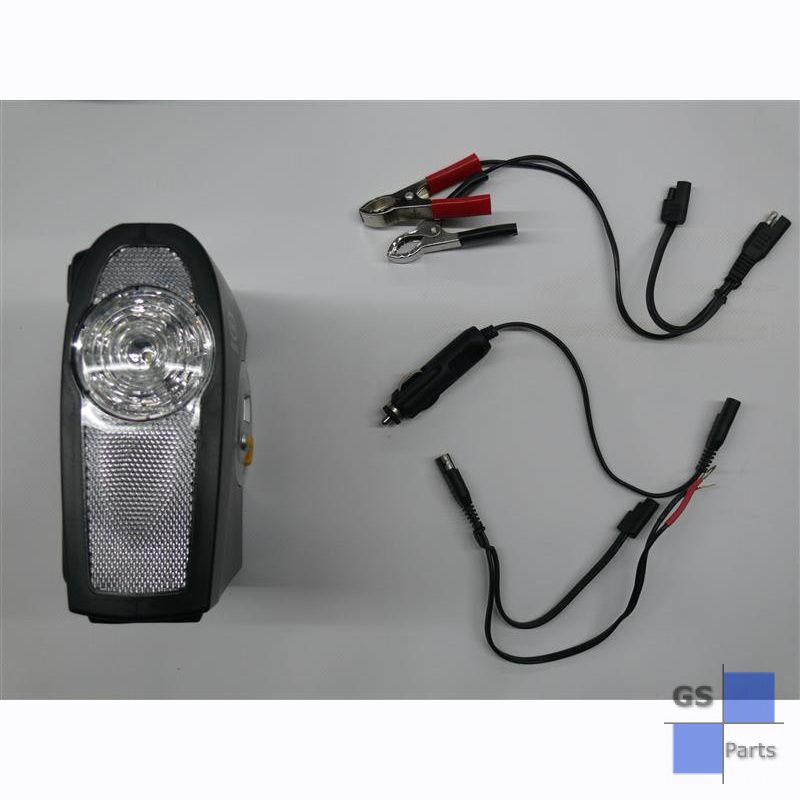 Built in white light for night time illumination and red light for alert/SOS. 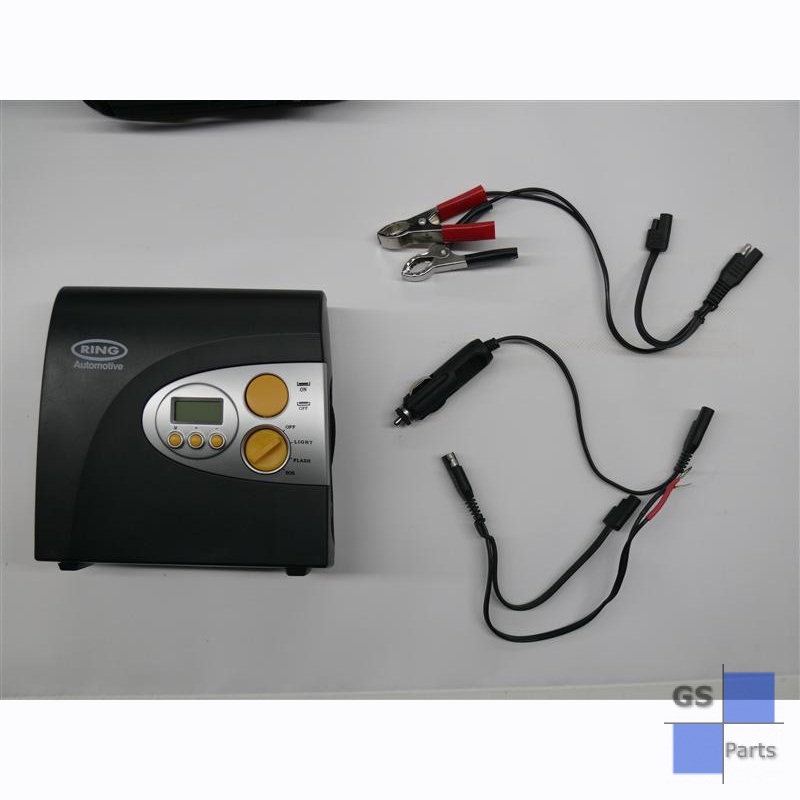 Pressure gauge is psi, kpa, bar. 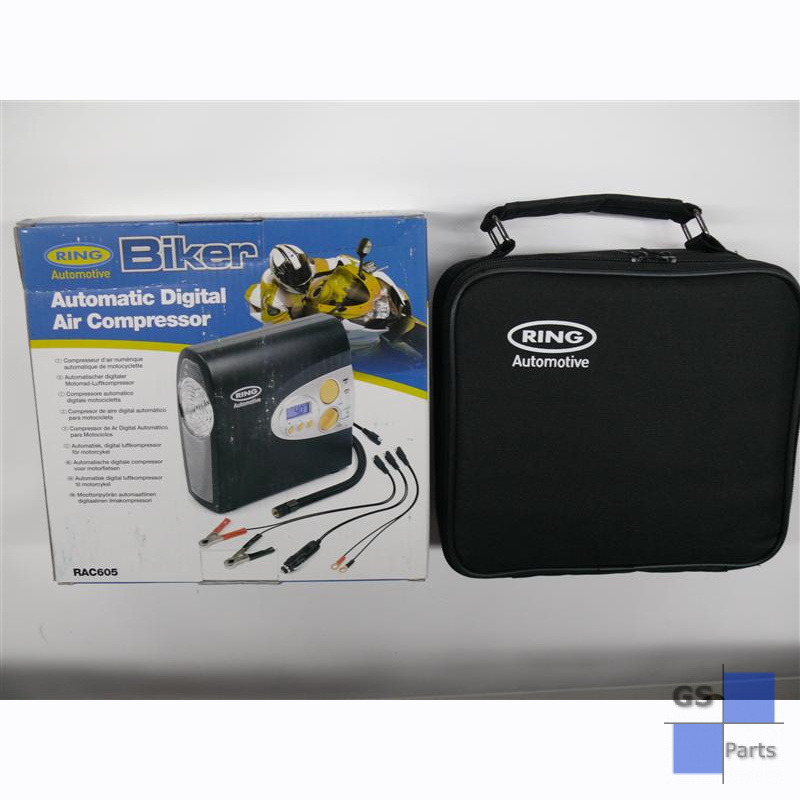 Complete with a 3 piece adapter kit for bikes, air beds and other inflatables. Flexible air hose with screw stem connector. Separate On/Off power and light switches. Fitted with a fused 12v power plug.